Just a few helpful reminders about Halloween at GMPS. We acknowledge that not everyone celebrates Halloween and as such, costumes are not a requirement. Students are welcome to wear their costumes if they would like, but orange and black, or regular clothing is also fine. School and classes will continue as normal – we know that Halloween parties will be happening in homes across the neighbourhood on Tuesday night. If your children are wearing costumes on Tuesday, please do not send any replica weapons that may accompany the costume and please no masks that cover the entire face and/or head. Please do not send food with students to share with their classes as due to allergies and other food restrictions, we cannot share food. In the days following Halloween, screen your kids’ snacks to make sure that nut products and candy containing nuts do not come to school. Happy Trick or Treating! Please be safe and HAVE FUN! Your School Council is pleased to announce the return of lunchtime programs. These programs are optional opportunities that are fee based but occur during the lunch hour at school by YRDSB approved companies. The aim of Council is to offer a variety of options throughout the school year to a variety of ages. 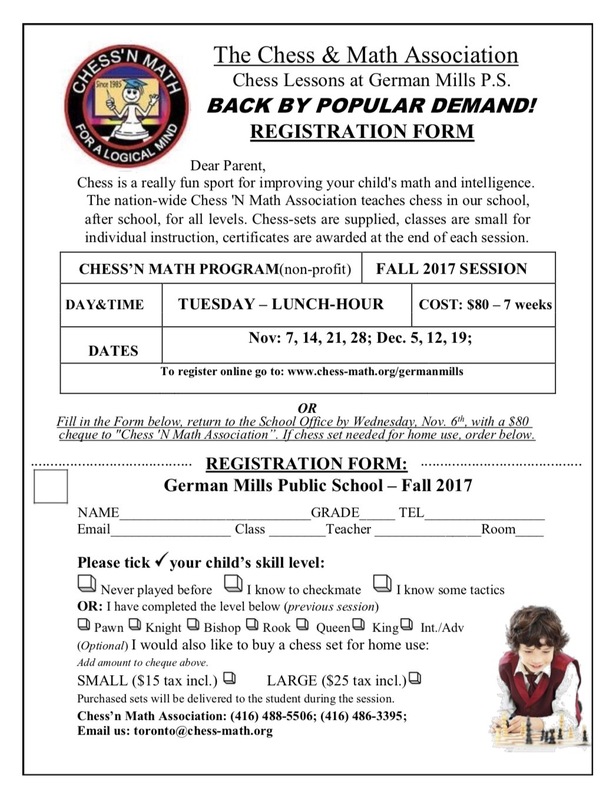 This fall we have Dance and Chess. Both of these programs offer subsidies so if you are interested in joining and you require a subsidy, please speak confidentially with Ms. Cameron. We are halfway through October and time is flying past us! You may be ‘in the loop’ with your children’s teachers, but it is nice to have the whole picture too, so once or twice a month we will endeavour to send out a summary of all of the whole school items and activities. In the classrooms – Our Grades 4-8 students are paricipating in the Global Read Aloud program. If you follow any of the classes on Twitter, you can see the conversations they are having about what htyey are reading, with students from around the globe! Our Primary students are gearing up to have a Family Reading Night – details will be available this week. Touchstone – Everyone at GMPS has learned about the Touchstone. We endeavour to make it part of how we do business day in and day out. We have the Touchstone posted in every room, the office, and outside on the Kindergarten fence. We will be having our Touchstone and Character Matters assembly on October 30th at 9:15 am for anyone interested and available to attend. We will be recognizing students for their work with ‘Responsibility’. Athletics – As you have seen on the Blog, our Cross Country Team had a short and very sweet season. We took a large group of students to both the Area and the Regional events and everyone ran thier hearts out. Our Intermediate boys and girls volleyball seasons are both underway and the teams are shaping up to be outstanding! Go Mavericks! Clubs and Activities – we are getting our clubs and activities up and running. In addition to what the staff offer, there are also paid providers who offer programs at lunch. We are waiting to hear back from a few but at thsi time we can say that Guitar classes will be starting in January. EDSBY – As you have heard, Edsby is the platform we will be using for a number of things in the coming year. The first thing we need the system for is setting up interviews for parent and teacher interview night (November 23/24). Please make sure you sent in your Hot Pink paper so that we have the ability to set you up! Safety – Thank you to everyone who is remembering the drop off and pick up procedures. Please do not park along the curb at any time – use the lot or the street. It is tempting when we are rushing or when the Principal isn’t on duty, but it really makes a difference in efficiency and safety when we all play by the rules. ALSO – with regards to safety, you may have heard that we had our Bus Safety training last week. Everyone received training both on and off the bus to ensure we are well equiped for when we ride the bus. Finally, with regards to our FANTASTIC playground, things have been going really well. When students are on the playstructure – to avoid injury and upset – please have students use the structure for the purpose it was built for. School Council – on Monday October 23rd at 7:00p.m. in the library, we have our School Council meeting and everyone is welcome. Babysitting is provided. Please note that we will be discussing the Cookie Dough fundraiser and we will be looking at the EQAO data and School Climate Data. The agenda and notes will be posted on the blog when available. Please be aware that we have added Google Translate to the side menu of the Blog. If you would like to read the blog in a language other than English, please simply click on the link on the side menu and select your preferred Language! 블로그에서 다음 링크를 사용하고 있습니다. 블로그를 영어로 읽고 싶다면 링크를 클릭하고 원하는 언어를 선택하십시오! لطفا توجه داشته باشید که ما از لینک زیر در وبلاگ استفاده می کنیم. اگر می خواهید وبلاگ را به زبان انگلیسی بخوانید، لطفا روی لینک کلیک کنید و زبان مورد نظر خود را انتخاب کنید! Calling all Grade 8 parents! The Family Night at Thornlea that was scheduled for tonight, has been moved to November 7th, 2017. A flyer with more details will be provided by the highschool later next week. 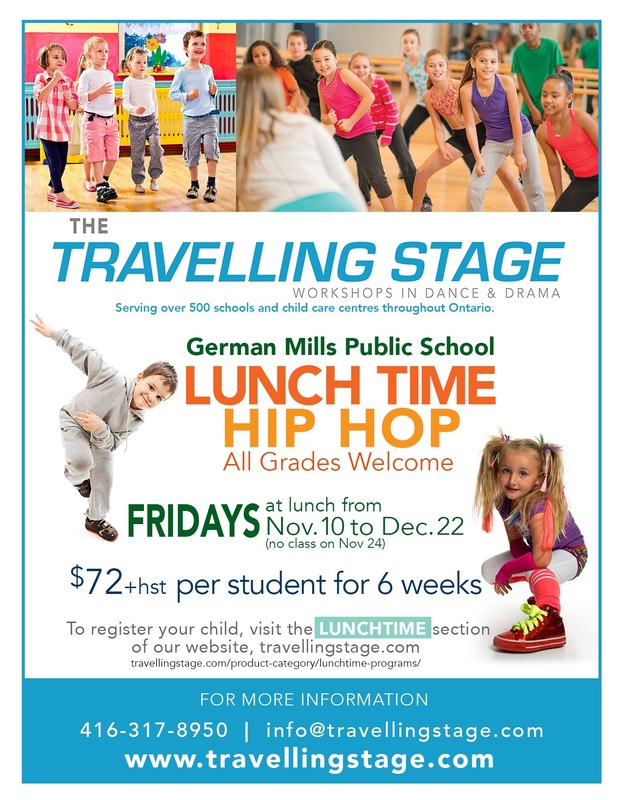 We encourage everyone to attend – even if you are planning for your child to go elsewhere – Thornlea offers some incredible programs that aren’t offered at other local schools. From one of our grade 4 athletes: The races were pretty hard and there were lots of fast people. It was pretty windy and there were 200 people in every race. After our race, we had some free time to check out the snack bar and we had some free space to play. Our runners tried their best and we even had several Mavericks who placed in the top 100! Overall it was a great day. Go mavericks! Congratulations to our 19 runners who represented German Mills against the fastest runners from over 150 schools from all over York Region! What an honour! 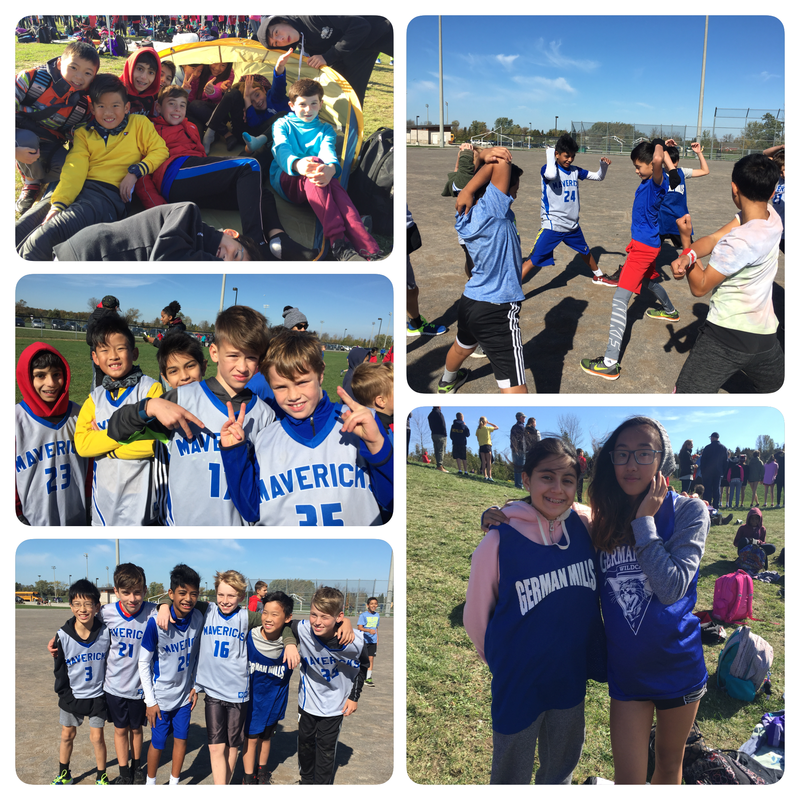 Our Mavericks demonstrated great sportsmanship and determination in the very windy weather and the coaches couldn’t have been prouder. Thank you to all parents who drove all the way to Georgina to support us and to help us get back in a timely manner! Can’t wait for next season!